This hands-on class will teach key skills for successful overnight backpacking adventures. We will discuss tents, stoves, sleep systems, water filtration, wildlife safety, and so much more. We will review the proper use of backpacking gear and recommended campsite techniques to prepare you for safe and successful overnight adventures. Join us for a hike in a beautiful location while learning essential skills. You will learn about trip planning, predicting trail conditions, gear preparation, risk evaluation, and so much more. Our objective is to to make you a safe, independent, and confident hiker. Let's hit the trail together and enjoy a great day in the dirt. 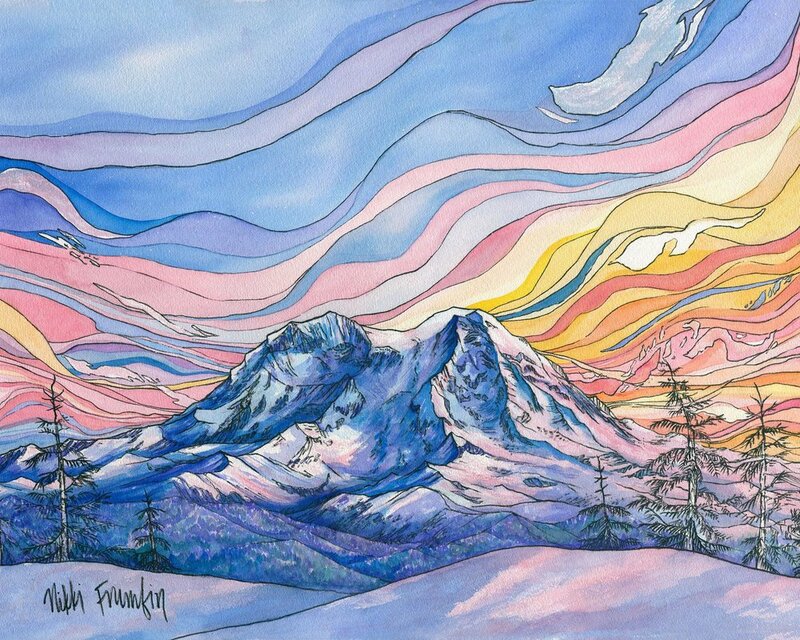 We are thrilled to partner with Nikki Frumkin of Drawn to High Places for special hike and paint collaboration events. The Cascade Mountain Adventures team will lead a short beginner friendly hike to a beautiful viewpoint. You will settle in with a hot beverage to participate in an open-air watercolor painting session. Looking for something a bit more? Want to extend your outdoor learning experience into an overnight adventure? Yes! Join us for an overnight backpacking adventure.